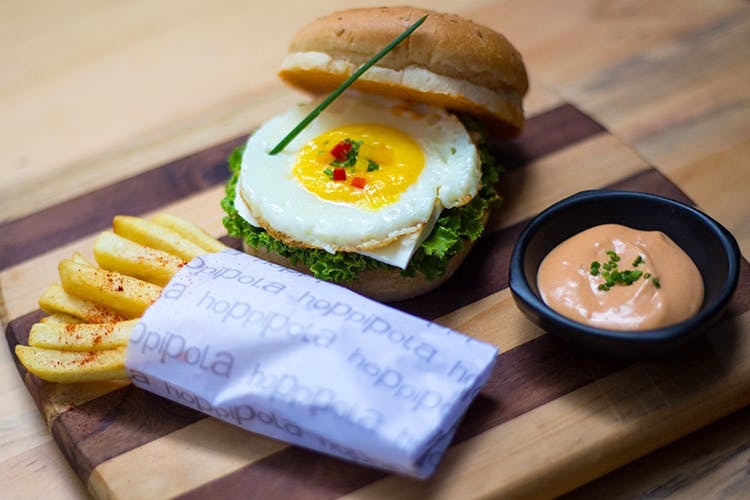 Hoppipola, offers a lavish spread for Sunday brunch, with an unlimited, never-ending food & drinks deal being offered for INR 999. If the words ‘all-you-can-eat’, ‘unlimited’ and ‘food’ make your ears perk up and eyes shine like nothing else, this is for you, buddy. Also if you don’t care a fig about waking up early, Sunday brunch would be a good scene for you to appear at. An endless stream of beer, wine, and other cocktails in under INR 999 is a really good way to spend away a lazy Sunday afternoon. The food, too, includes eggs-to-order dishes such as bhurjee, omelette, etc., a variety of salads and delicious options such as quessadillas, bento boxes, and cheesecakes. The brunch begins at noon and goes on till 4pm, giving you plenty of time to indolently while away your Sunday, while adequately filling up your stomach.